Flames leap behind Ventura County Fire Station 56, along Pacific Coast Highway, in Malibu. Photo by Ray Ford courtesy of Santa Barbara County Fire. Battling through the Camp Fire last week in Butte County, Calif., Supervisor Doug Teeter rode behind a bulldozer that pushed cars out of the way, trying to reach a hospital in Paradise, his hometown about 180 miles northeast of San Francisco. Teeter lost his home, which his grandfather built, in the Camp Fire which has killed at least 42 people since it started Nov. 8 in a rural part of the county before incinerating the town of Paradise. The death toll for the fire makes it the deadliest wildfire in California history, authorities said. Officials say at least seven of the 42 victims died in their vehicles as they tried to flee the fire on the traffic-choked road that was the only way out of town. “My biggest fear for my community, because of the horrific loss of businesses and personal residences and apartment complexes, is that a lot of people may have lost their jobs on the ridge,” Teeter told a local newspaper, the Chico Enterprise-Record. Teeter said he had spoken with a Shasta County supervisor dealing with the aftermath of the Carr Fire about changing building codes to allow for any quick and safe shelter that people could put on their property while they rebuild. “There’s going to be a lot of conversation about fixes or tweaks to our building code to allow that to happen, ‘cause that’s going to get people back the fastest,” he said. As of Monday, Nov. 12, the Camp Fire, named for an area of Camp Creek Road, was 25 percent contained. The Mercury News reported that firefighters dispatched to the scene noted that power lines were down in the area. The utility announced last week, before the fire, that due to a forecast of high winds and low humidity, it was considering shutting down power to parts of Butte County, but it never did, the newspaper reported. CalFire said the fire is still under investigation. Napa, Sonoma, Lake and Mendocino counties are suing PG&E for its role in deadly wildfires that plagued the region last year. The Camp Fire has burned more than 113,000 acres as of Monday, Nov. 12, destroyed 6,453 homes and more than 260 commercial buildings in the county. In addition to the 42 people who have been killed from the fire in Butte County, many were reported missing. The Butte County Sheriff’s Office has activated a call center for the public to provide and receive information about those thought to be missing. Sheriff Kory L. Honea of Butte County said Sunday, Nov. 10 that 228 people were still unaccounted for. The county has brought in archaeology students from the Human Identification Laboratory at the University of Nevada Reno to remove debris to try to find victims of the Camp Fire. Gov. Jerry Brown, in a news conference Sunday, said more than 149,000 people have been evacuated throughout the state. 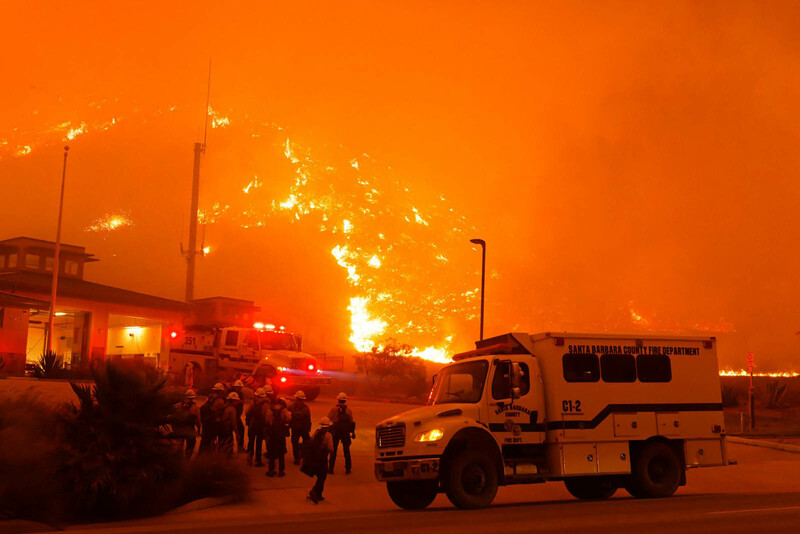 In addition to the Camp Fire in Butte County, Los Angeles and Ventura counties were also battling wildfires. The Woolsey Fire, which also started Nov 8, was 20 percent contained as of Monday, Nov. 12, has burned 91,572 acres across the two counties and destroyed 370 structures, according to CalFire. Two people were found dead in Malibu in Los Angeles County and three firefighters have been injured. The cause of the fire is under investigation. Mandatory evacuations were underway Nov. 12 in Calabasas in Los Angeles County and in two areas of Ventura County.